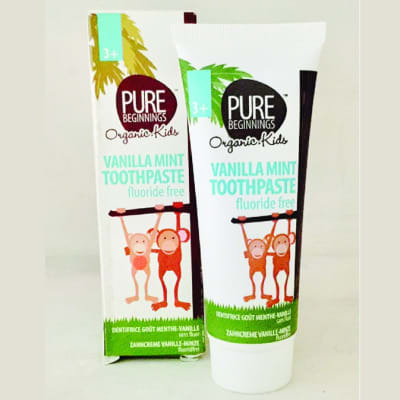 For baby teeth with Xylitol and Homeopathic fluoride. Ingredients: Purified water, vegetable glycerine, hydroxyethylcellulose, ascorbic acid, citric acid, sodium benzoate, polysorbate 20 and Cocamidopropyl betaine. Nature identical strawberry flavour. NO: Sodium fluoride, colour, SLES, gluten, saliciylates, parabens, cyclamates, bleach, saccharines triclosan. Benefits Xylitol and stevia help to protect teeth from plaque. Calendula, Aloe, Rooibos and Aniseed help to soothe and disinfect inflamed gums during teething. Calcium, Zinc, Sea salt, Magnesium and Natural Floride(Homeopathic D6) help teeth to grow strong. 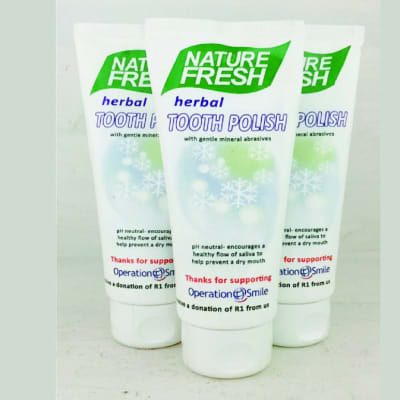 pH7 encourages healthy saliva that helps to freshen breath and prevent tooth decay. Other information Brush teeth after breakfast and at bedtime. This product is not harmful if accidentally swallowed, but try to encourage kids to rinse out their mouth after brushing teeth. Brush, Swish, Enjoy! 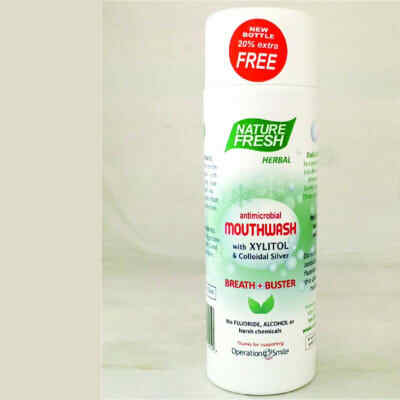 Nature Fresh Mouth Wash is extracted from herbal extracts and gives you a refreshing and gentle minty feeling. Olive Leaf, Clove, Aole, Ferox and Tea Tree, Green Tea, Liquorice Root, Calendula and Rooibs. Other ingredients include: Water, Sea Salt, Vegetable Glycerin, Vitamin C and Potassium Sorbate. How to use: As a mouthwash or gargle. Use after eating, flossing drinking or smoking. Gently brush your teeth. Dilute with water if desired. Warning: Do not combine with products that contain fluoride or alcohol as this upsets the pH of healthy saliva.